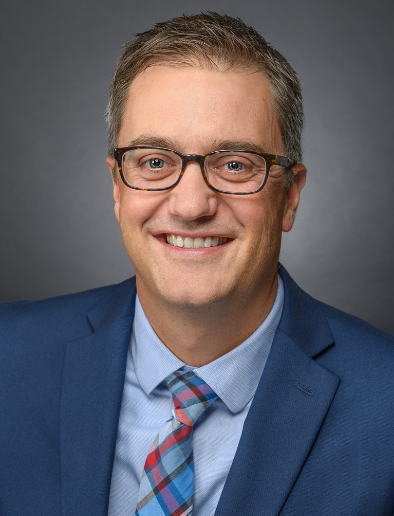 Peter C. Sanders is a board certified orthopedic surgeon who specializes in arthroscopic reconstructive surgery, minimally invasive joint replacement and fracture care. Dr. Sanders completed his medical school training and his orthopedic surgery residency at the University of MN in Minneapolis, MN. He practices in Chaska, Waconia and Olivia. Dr. Sanders enjoys partnering with Compassion, World Vision, World Wide Village, International Justice Mission and Hope Academy to help provide educational and medical opportunities for the underserved both locally and abroad. He has recently visited Zimbabwe and Haiti on medical missions trips. When not working, he enjoys spending time with his wife and two children. Interests include fishing, biking, golf and playing the drums. I had total knee replacement done on both knees. First one on February 1 and the second on April 5 of this year. I am totally satisfied and would recommend Dr. Sanders. He and his staff were very kind and explained the procedure well. I did my physical therapy at the Waconia clinic which got me up and around quickly. I am able to walk again with no pain and am totally enjoying life again. Thank you so much Dr. Sanders! I had hip replacement surgery in Feb. 2018. The pain is gone, I am moving about better than I have in years. I would highly recommend Dr. Sanders and the staff at RC Hospital & Clinic in Olivia. Very good care and the result has completely exceeded my expectations. I am very glad I had the procedure done. I am a so very happy with the care that I have received from Dr. Sanders and his entire staff. Dr. Sanders performed a full knee replacement on my left knee in November of 2017 and another full replacement on my left knee in February of 2018. I was treated with kindness and concern through both surgeries. I would refer family and friends to these wonderful people anytime. Dr. Sanders performed ACL and Meniscus repair on my knee in October 2016. I am so impressed with not only how fabulous my knee works today, but how he and his team worked together from start to finish. TCO is a first class operation, from the minute you check in (whether at the clinic level or hospital) all the way through rehab. My knee works better than it has in years and long before surgery. Dr. Sanders made me feel as though I was the most important patient and allowed me the time I needed to ask questions for what I deemed a “very scary” surgery. He even drew me pictures, so I would be as informed as possible. No doubt about it, if I need any future orthopedic care, TCO is the answer for me. When even lifting a mug of coffee caused pain, I knew I needed to address my worsening shoulder issues. I’d had other replacements but surgery on my right arm concerned me. Dr. Peter Sanders, who sees patients at RC Hospital in Olivia, listened carefully and answered all my questions, putting me at ease. His professionalism and skill were evident, but he also showed a passion for what he does and a desire to use his skills to help his patients. The results from my shoulder joint replacement are remarkable. It took some time but thanks to Dr. Sanders and our Big Stone Therapy group in Olivia, I am completely pain-free and back into life! Dr. Sanders changed my life, and I couldn’t ask for better care than he provided. Dr. Sanders is a wonderfully skilled surgeon, and most importantly, a compassionate individual who worked hard to help me overcome my fears. I never thought I would say this, but if needed, I will have the surgery again on my other arthritic knee. I had my right hip replaced by Dr. Sanders. He did an excellent job. My recovery has exceeded my expectations. I am going to have my left hip replaced as soon as possible. I feel great. You could not get any better service and care before, during, and after than what you get from Dr. Sanders and his staff. My experiences with Dr. Sanders began with an appointment for hip pain in 2013. I found him to be very professional, personable, friendly, and ready to listen to the description of my symptoms. The arthritis in my hip required hip replacement surgery two years later. During that time, Dr. Sanders continued to treat me, and his professionalism reassured me I was in good hands. Now, two months post-surgery and completely healed, I know I was right! I cannot recommend him highly enough!